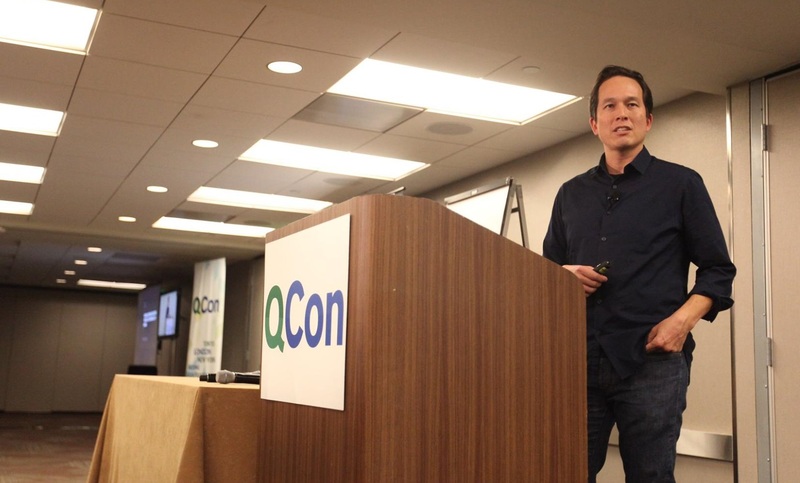 Early in November around 1,500 attendees descended on the Hyatt Regency in San Francisco for the tenth annual QCon in the city and the biggest QCon we’ve held in the US. 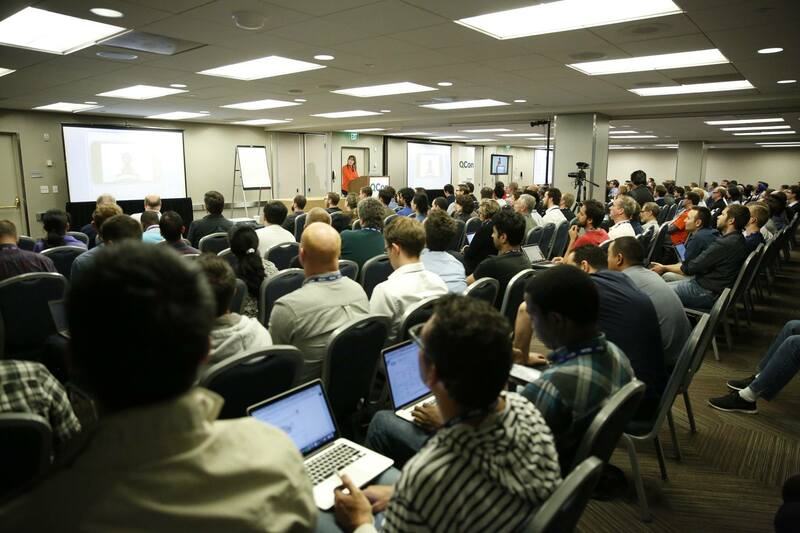 QCon SF attendees - software engineers, architects, and project managers from a wide range of industries including some prominent Bay-area companies - attended 92 technical sessions across 6 concurrent tracks, 32 in-depth workshops, facilitated open spaces and, as at all English language QCons, had near instant access to all filmed presentations from the event on InfoQ. The first day saw a keynote from Amber Case, Fellow at Harvard University’s Berkman Klein Center and writer of "An Illustrated Dictionary of Cyborg Anthropology", talking about "The History and Future of Wearable Computing and Virtual Experience." Michael Lopp, VP of Engineering @Slack, opened day 2 and Neha Narkhede, Co-Creator Apache Kafka and Co-founder and CTO at Confluent, gave a talk called "ETL Is Dead, Long-live Streams" on day 3. Some members of InfoQ's team of practioner-editors were present and wrote a number of posts about the event. But for this article we've summarized the key takeaways and highlights as blogged and tweeted by attendees. Over the course of the next 5 months, InfoQ will be publishing most of the conference sessions online. Is Managing Men & Women Really That Different? Amber Case … spoke about the history and current state of virtual reality interfaces, the challenges faced by augmented reality and how these can be overcome as people become more comfortable with the advances in technology. She started her talk examining the current state of Virtual Reality (VR) technology and lamented the fact that almost every demonstration of VR has people ride a virtual roller-coaster - an experience almost guaranteed to make the wearer feel ill. She then showed examples of various VR applications including giant hamster balls, which are also very likely to make the operator feel ill.
A very important consideration for AR adoption is the need for technology to be respectful of social norms. To be successful, an innovation needs to build on products which are already socially acceptable - if the jump is too far the innovation will probably be rejected in the marketplace…. She urged the audience to treat VR as a playground and use it to grow and learn. 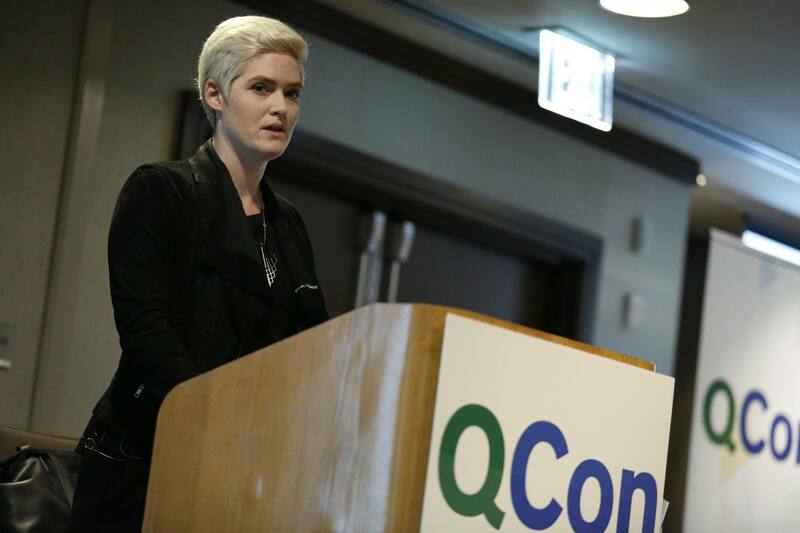 @shanehastie: #QconSF @caseorganic Technology should be respectful of social norms. Michael Lopp … explored what cultural changes are necessary when growing an organization from building one product to building a business that builds products. He started by stating that the soft skills are by far the hardest aspects of software engineering - it's about getting people to collaborate effectively together to achieve great things. He described how organization culture grows in tiny steps as the business changes. When the business is a single person then there is no visible decision making protocol and "how things get done" is totally invisible. As soon as there is even one more person involved then decision making becomes a matter of communication and this creates the very first piece of culture "the way we do things here" - if the decision was made using consensus then that will become the norm going forward, if there is a power-play then that will become the norm in the future as more people are added…. As the company grows the definition of winning needs to change - initially it is about building a product that is successful in the marketplace. This needs to change to becoming an organization that builds successful products. This is a different mindset and needs new ways of thinking…. He ended by challenging the audience to identify the one aspect of their culture that must change. It may be something that you love, or hate, but it needs to change. @shanehastie: #QconSF @rands The more perspectives that are sitting at the table the better the decisions will be. @shanehastie: #QconSF @rands Change the game before the competition gets thee. You're building an organism that can make new products. @shanehastie: #QconSF @rands leadership attitude needed today - be unfailingly kind. @shanehastie: #QconSF @jimplush Culture is how business gets done. What happens when no one is looking. @shanehastie: #QconSF @jimplush Practices. Skip level 1 on 1's. Multiple sign offs on promotions. Mngrs don't control tasks. @shanehastie: #QconSF @jimplush "The next time your boss complains about you playing XBox tell him you're busy building culture"
While the spec makes its way through committee, RxJS provides an Observable implementation you can use today. The upcoming version 5 of RxJS is a complete rewrite with better performance, more modularity, and easier debugging. Husain … also expressed reservations, saying that "if you make mistakes in your type system, you've hobbled the web." The committee is being very cautious because of the complications involved…. They are considering multithreading as well, with a proposal afoot for a shared array buffer with low-level primitives to exist between multiple threads, Penner said. There's also a proposal to do parallelism with web workers, for web content to run scripts in background threads, but there are complications with this. Husain noted that while parallelism would increase performance by leveraging multicore processors, it's "a very complicated problem," like a type system. Long-planned async capabilities are on the drawing board, too. Husain offered an estimated timeframe of 2018, but he wasn't certain when it might arrive. "You can just say, 'An asynchronous workflow, do this, do that, do this.' It's asynchronous, but you don't have to register a callback," he said. The code looks like synchronous code but actually runs asynchronously. Mitch Shepard … identified reasons why there are fewer women in leadership roles and on boards in the IT community, why this can be detrimental to the organizations, and how to improve the situation. Shepard referenced data which show that “innovation and creativity are inextricably linked to diversity of thought,” and, diversity of thought comes from having a variety of differences in the workforce, including gender. When there are three or more women on a company’s board, that company benefits financially from this diversity, shown through a higher return on sales, higher return on invested capital, and higher total return to shareholders, just a few of 39 reasons why diversity matters that Shepard referenced. While in most organizations, entry level positions are shared evenly between men and women, a McKinsey report Shepard cites shows that the percentage of women in mid-level and senior-level management drops significantly, and that women make up only 19 and 4% of board member and CEO positions, respectively. There is wide variation between the competence and confidence levels that women feel compared with men when applying for promotions. Men will commonly feel confident enough to apply for a position when they meet about 60% of the required skills on the job description, while women will not have the confidence to apply for a position unless they meet 100% of the skills. Shepard then moved on to talk about what to do with this information. … Practices like acknowledging women’s contributions, ensuring that there is space for voices that are less likely to interrupt, repeating the ideas that women suggest, and serving as a mentor or sponsor can be very useful in encouraging individual women to make the transition to leadership. @shanehastie: #QconSF @WiRLSummit In software development the entry level is 14-19% women starting and close to zero at CXX level. @shanehastie: #QconSF @WiRLSummit "not strategic" means "you're not thinking in the same way that I am"
@shanehastie: #QconSF @neuraltheory 3 rules: #1 whatever you're doing right now, go all in. @shanehastie: #QconSF @neuraltheory things that do predict success in programming. Emotive passion about something. Care about what you do. 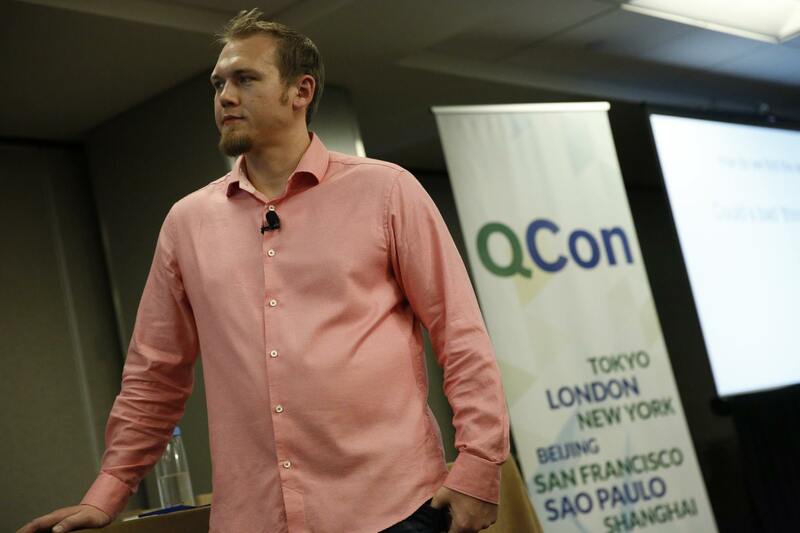 @shanehastie: #QconSF @neuraltheory the more people like you in the decision making process the more likely you are to just follow the crowd. @shanehastie: #qconsf @neuraltheory No skill or knowledge is robot-proof. Focus on the things that are truly uniquely human. 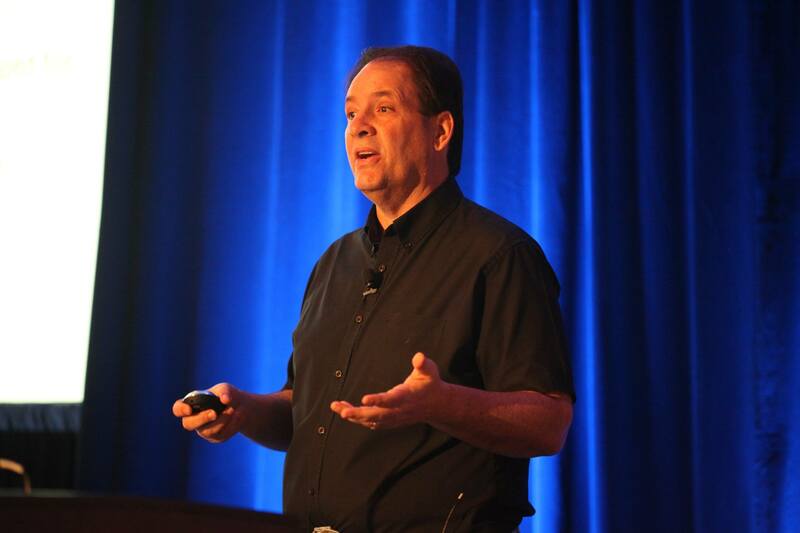 @shanehastie: #qconsf @neuraltheory Don't try to be a better parent, be a better person. Model the behaviour you want them to have. Ronit Avni … presented at QCon on compelling people, identifying ways to connect to one's audience through warmth and skill, and how to provide a clear message by ensuring that the visual and vocal channels used to deliver the message don't detract from the actual message - the part that speakers spend so much time preparing. Avni notes that, if there's tension between what an audience member is hearing and what they are seeing, studies have shown that focus on the verbal message is diffused; visual distractions can keep the audience from understanding the message. Avni points out that a balanced posture, with arms in front and slightly raised (like you’re holding something between the size of a soccer ball and a beach ball) when gesturing, enhances strength and warmth. She notes that the head tilt often seen by reporters on the news reduces the sense of strength, so is not a recommended stance when speaking with authority. Gesturing helps gain credibility, but within reason. Avni notes that gestures must not detract from the message, but rather support it. Ultimately, Avni notes that the heart of public speaking is mindfulness, being aware of yourself, and your audience’s responses to you and the rest of the environment. 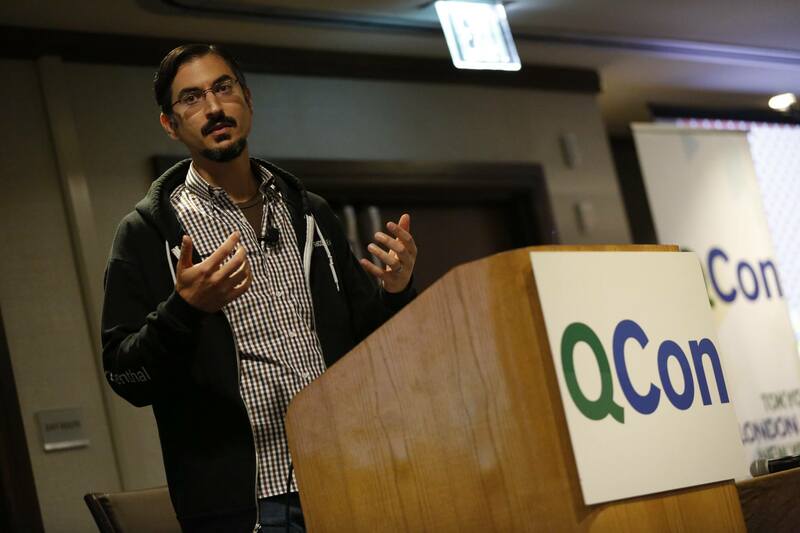 @shanehastie: #QconSF @Ronit_Avni women are biased against, as they increase in strength they are perceived as having less warmth. @shanehastie: #QconSF @Ronit_Avni characteristics of a strong voice - low, slow & steady. Warm voice is varied. 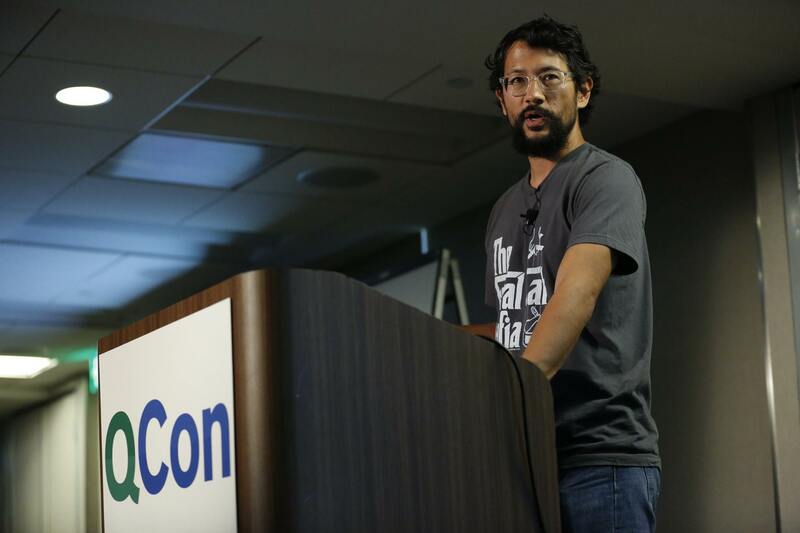 @shanehastie: #QconSF @Ronit_Avni There are mechanics to the art of public speaking. You need to practice to get the mechanics right. @shanehastie: #QconSF @Ronit_Avni Verbal channel 7%. Connect first, then lead. @shanehastie: #QconSF @Ronit_Avni to create a connect even in a disagreement: agree, bridge, convince. 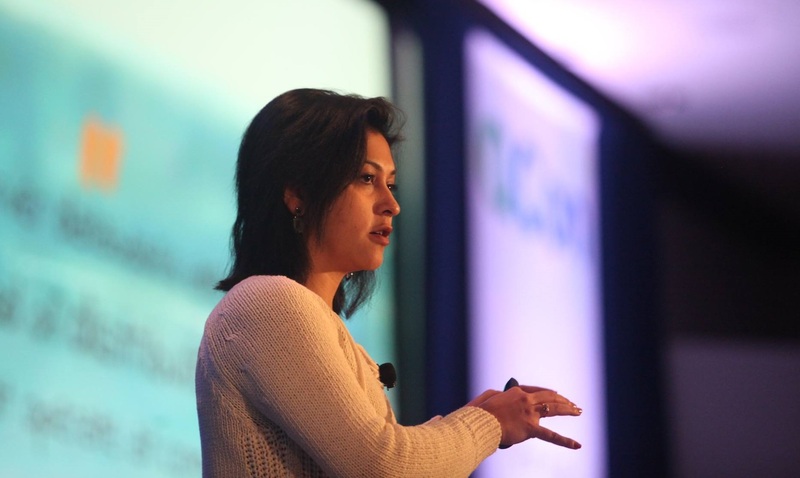 @shanehastie: #QconSF @Ronit_Avni be mindful about the practice of communicating effectively. Strength and warmth. 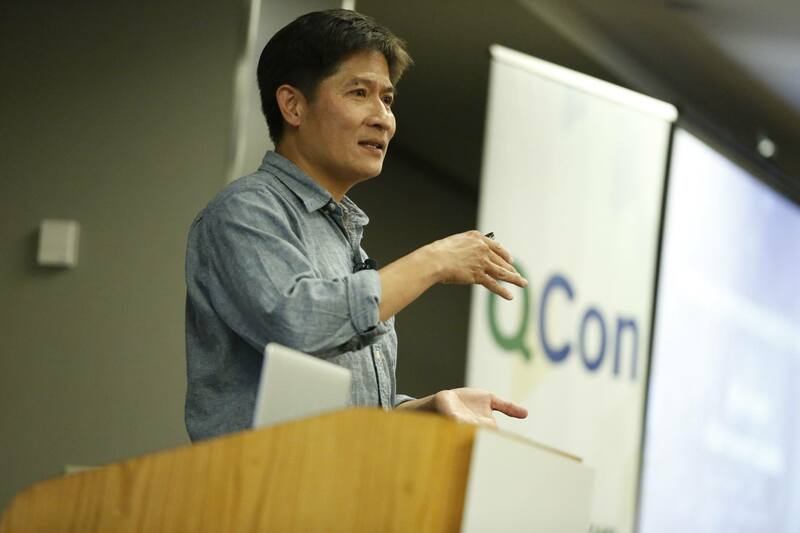 @shanehastie: #QconSF @teddydmz Lisa Rowland "Yes, but" shuts down ideas, "yes, and" opens us up to new ideas. "What I like about that idea is..."
@shanehastie: #QconSF @teddydmz Lisa Rowland Improv life hack no 3: Share control. Chan said that development and security teams tend to be at odds. Developers want to go fast and break things, while security administrators generally want nothing to happen, anywhere. For the development team, movement is a good thing, but for the security team, success is silence. Thus, integration between the two teams is a major key to success. The way Netflix approached this was to push security teams to integrate their tools into the existing developer workflows. They shunned the idea of adding a new console or dashboard, as it would be difficult to get developers onboard with using it. The second major principle that helped the Netflix team was called Security++. This practice, said Chan, prioritized security efforts that would also improve the application from other sides. Thus, if work on a security bug would also yield a performance benefit or better stability for the application, it would be a priority for both teams. Chan said that being transparent is also key for security teams. Developers need to know what is being automated, and why exactly something isn’t being accepted because of security reasons. This, coupled with an ultimate goal of reducing cognitive load on developers, combine to make security easier to implement across an organization, he said. @shanehastie: #QconSF https://t.co/312QZyXRGz Method: body storming good for imagine and sell. Act out the experience. @shanehastie: #QconSF @botchagalupe The tools do not make you a healthy organization. Get people to collaborate and trust each other. @shanehastie: #QconSF @botchagalupe Your high performing people are more likely to experience burnout. @shanehastie: #QconSF @caseorganic We live in an era of interruptive technology. Our devices interrupt us, and the service is frequently interrupted. 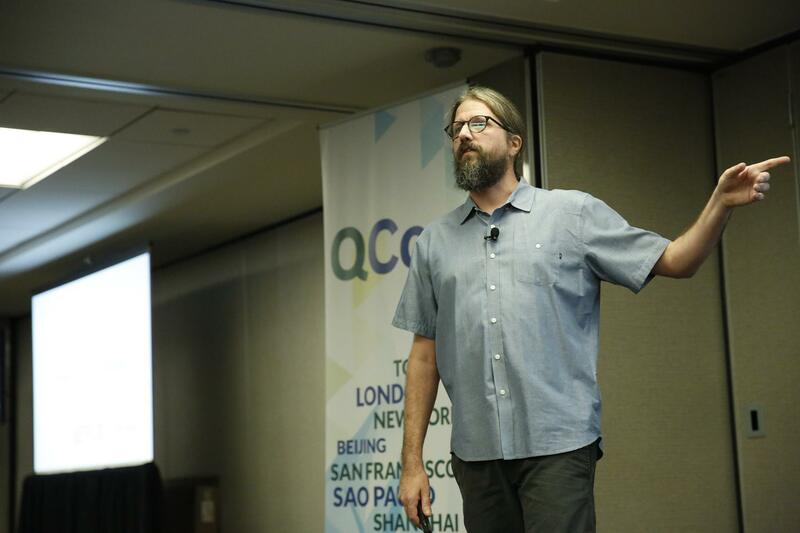 @shanehastie: #QconSF @caseorganic Network bandwidth needs to become as stable as electricity. 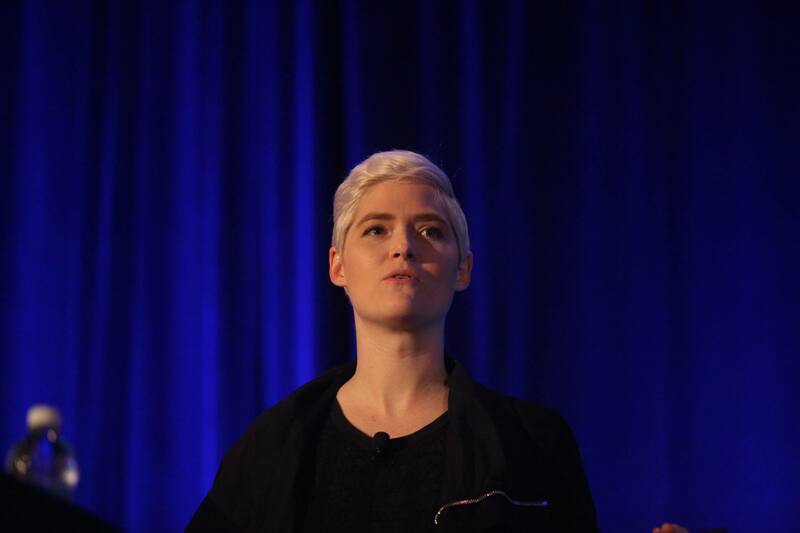 @shanehastie: #QconSF @caseorganic Technology should respect social norms. @shanehastie: #QconSF @sophiavux We are the complexity filters - we deal with complexity so our users don't have to. @shanehastie: #QConSF @sophiavux Reduce, Reuse & recycle. Where things are very similar, can they be seen as just one? @shanehastie: #QconSF @shanehastie Don't waste tour time designing interactions that nobody wants. @jjlesko: #QconSF is wrapping up soon - my team gives the conference high marks, consistent with the last several years I've gone. Good job, @InfoQ! 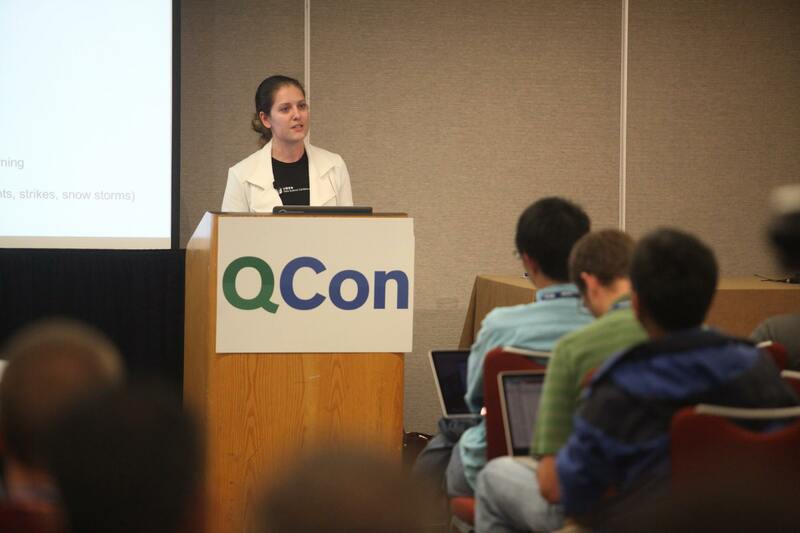 @jesmith17: Looking forward to applying techniques from #QconSF to my work. Great lessons and lectures. InfoQ produces QCons in 7 cities around the globe. Our focus on practitioner-driven content is reflected in the fact that the program committee that selects the talks and speakers is itself comprised of technical practitioners from the software development community. Our next QCon will be in London March 6-10, 2017. We will retun to San Fransico November 13-17 2017.